The town of Mount Airy is considering the deployment of speed cameras, in a plan which involves creating new school zones specifically for speed camera use and possibly lowering speed limits as well. Since, other than in Montgomery County and a few select locations, local governments can only deploy speed cameras in designated school zones. Under state law, school zones can be legally created within 1/2 mile radius of a school, a very large geographic areas which can encompass most of the roads in any given town or city. However all roads within a 1/2 mile radius of all schools are automatically considered school zones until they are designated as such by an official act and marked with school zone signs. The precise locations they are seeking for cameras were not specified, however since the locations are not already designated as school zones this means that town officials never previously considered that simply putting up a sign labeled "school" in those locations to notify drivers of the presence of a school to be worthwhile for safety before speed cameras were considered. The fact that speed camera use was limited to school zones one of the primary arguments for selling statewide speed cameras to the public, yet the fact that cameras are being deployed in school zones which did not exist before cameras were approved has become so widespread that it rarely even merits a mention in the press when it occurs. The Carroll County Times further reports that Commissioner member Fred Goundry "said he would also like to see the speed limit for the entirety of Main Street go down to 25 miles per hour, instead of being 30 miles per hour in some places". This change obviously has nothing to do with a desire to increase the number of citations issued to out of town drivers, even though the town had apparently considered a 30mph limit acceptable before speed cameras were introduced. There are many school zones in the state with speed limits greater than 25mph, some at 40 or 45mph, and as such it is not a standard practice that all school zones have a 25mph speed limit. Lowering a speed limit could turn vast numbers of ordinary drivers into lawbreakers merely for traveling a speed previously considered safe. Under the plan a speed camera contractor would receive a 37% cut of the citation revenue (ie, a fee contingent om the number of tickets issued) to deploy the cameras and run the program, giving them an incentive to take whatever steps possible to maximize the number of tickets issued. While under such contracts the devices are NOMINALLY operated by city officials in order to circumvent a restriction in state law, in practice the vendors have full control over the devices and the review of citations by police is little more than a rubber stamp. Carroll County does not currently have speed cameras. The one jurisdiction in Carroll County where a speed cameras was approved by the town government was Sykesville. The residents of Sykesville overwhelmingly rejected the program in a referendum in 2010. Photo enforcement has been placed to a popular vote a total of 24 times in the US, and has lost 23 of those times, a 95.8% rejection rate. However in Maryland putting local legislation to referendum requires collecting a very large number of signatures from local registered voters within an extremely short period of time (ie a few weeks) after the enabling legislation is passed. As such residents cannot wait to see how a program will in fact be implemented in order to put it to a vote, and collecting the signatures may be almost impossible for local opposition groups which may not even have existed previously since there were no speed cameras to oppose. 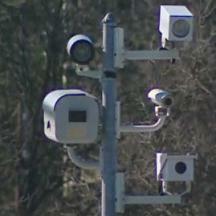 In some cases local officials would promise the cameras will be used in a certain way to sell them to the public and mute opposition (such as only using them in certain locations or existing school zones), only to then go back on those promises later (such as creating new school zones, or lowering speed limits and placing cameras directly at the new point where the speed limit drops) after the camera program is a fait accompli. Residents who are later ticketed for exceeding the recently lowered speed limit in the newly created school zone based on the testimony of a vendor paid based on the number of tickets issued can thus conveniently be told to pay up and shut up.